Helping You Achieve the American Dream – Page 31 – Advice and information to guide you to financial success with the financing your home. Here is my weekly review of last week’s political developments and a great start to the spring home buying season, what to expect this week and thoughts on what could move the market this week. As always, please let me know if you have any questions. 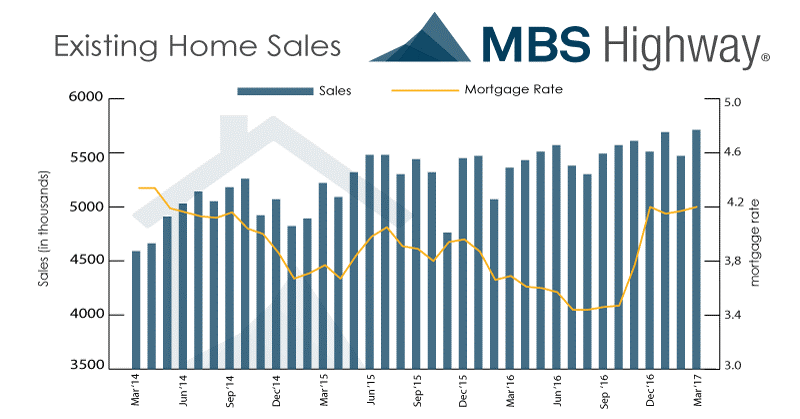 Nationally, New Home Sales, which measures signed contracts on new homes, were up 5.8% in March at a 621,000 unit annualized pace. This was much stronger than estimates of 588,000. Today’s figure was the 2 best number in 9 years. The Median Home Price was reported at $315,100 and inventory remained tight at a 5.2 month supply – there were 268,000 new homes for sale at the end of March. This strong report comes on the heels of Existing, which is 90% of market, was at a 10 year high. The Spring housing marketing is off to a strong start. 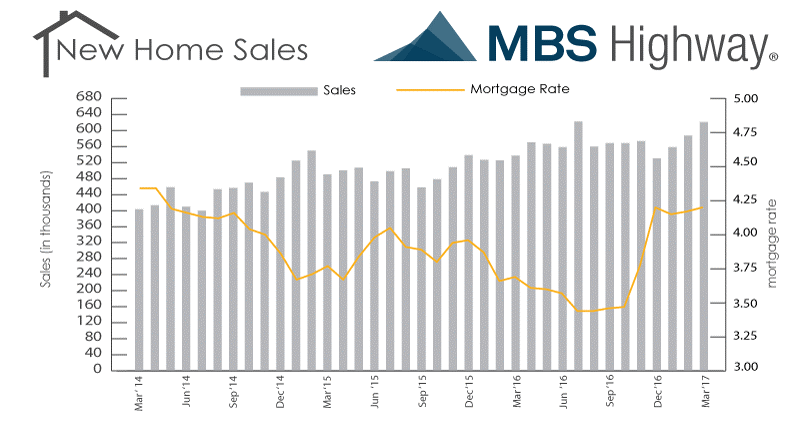 Existing Home Sales, which tracks closings on Existing Homes, were up 4.4% in March at a 5.710M unit annualized pace and it’s best number in 10 years. Sales are up 5.9% year over year. If you are thinking of selling your home, now is a great time to list.